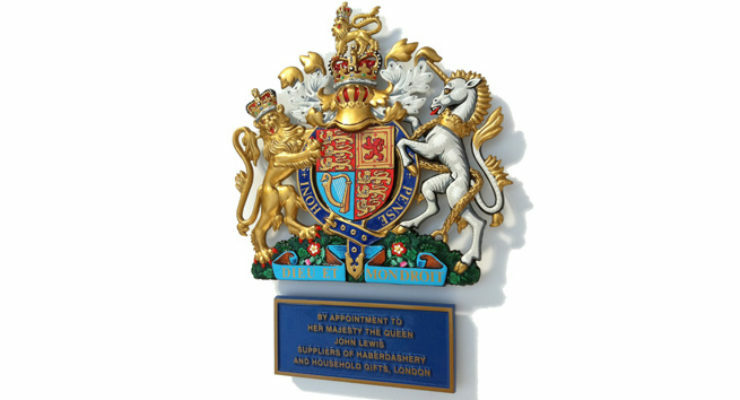 Royal Warrants of Appointment coats of arms are displayed by establishments that supply goods or services to either HM The Queen, HRH The Duke of Edinburgh or HRH The Prince of Wales. 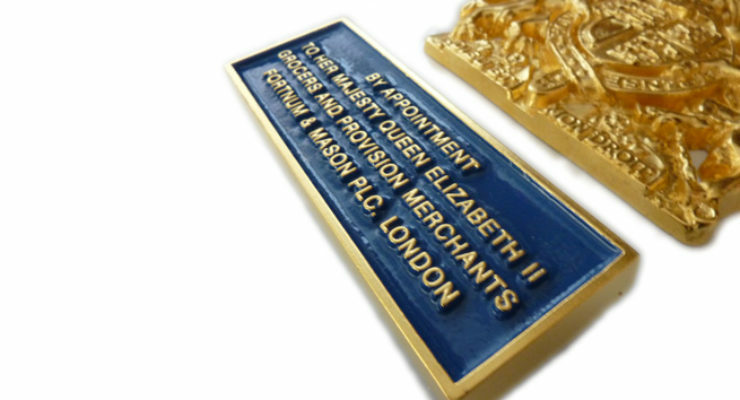 The granting of a Royal Warrant permits the supplier to advertise the fact that they supply or work for the Royal Family, which is, of course, a recommendation in itself. 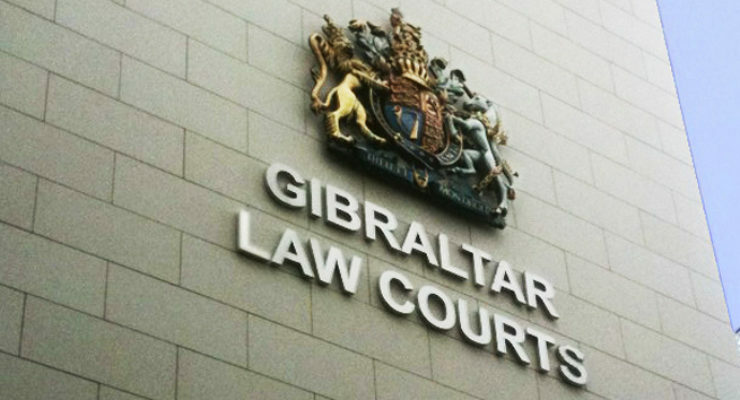 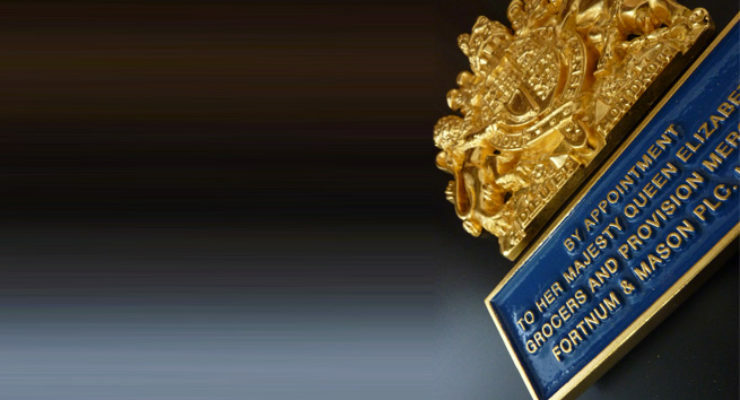 The Royal crest above a citation plate stating the grantee’s trade is the traditional way that a Warrant holder advertises the status. 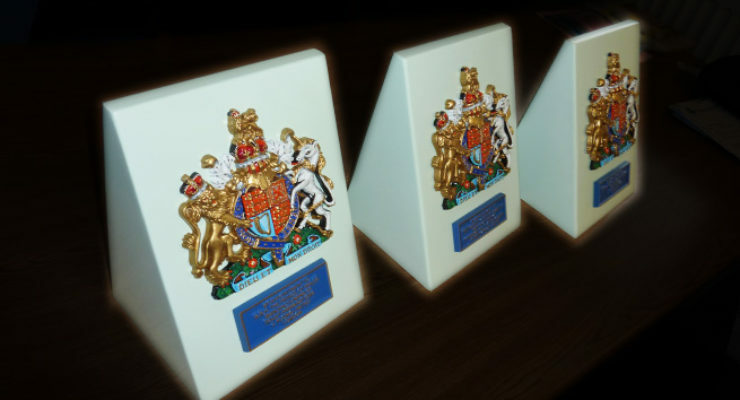 Ward Signs of Bristol producesQueen Elizabeth II Royal Warrant crests in the following sizes: 7”, 15”, 22”, 30”, 36”, 48” and 60” (sizes being measured approximately from top to bottom). 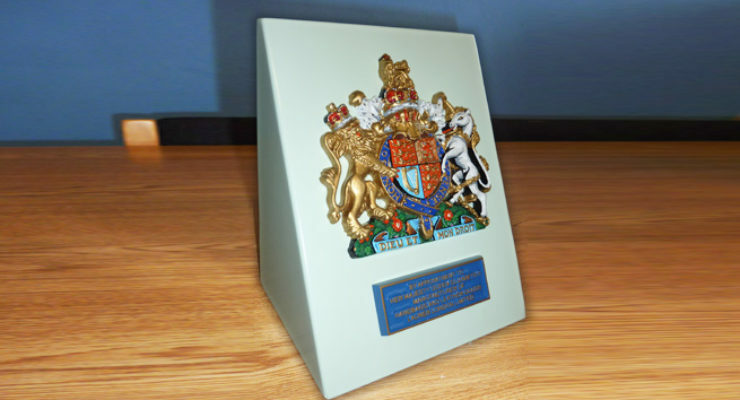 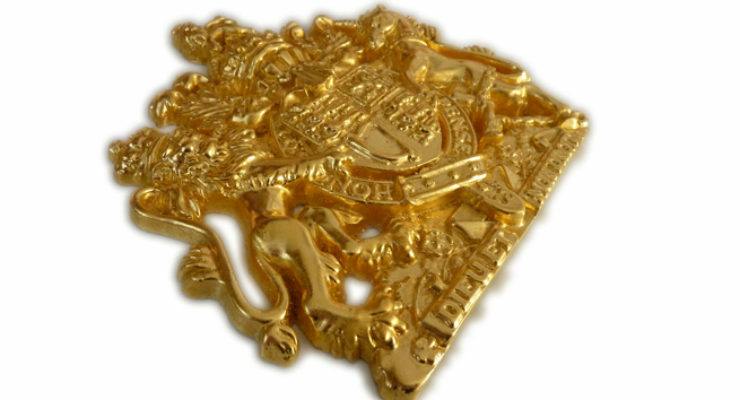 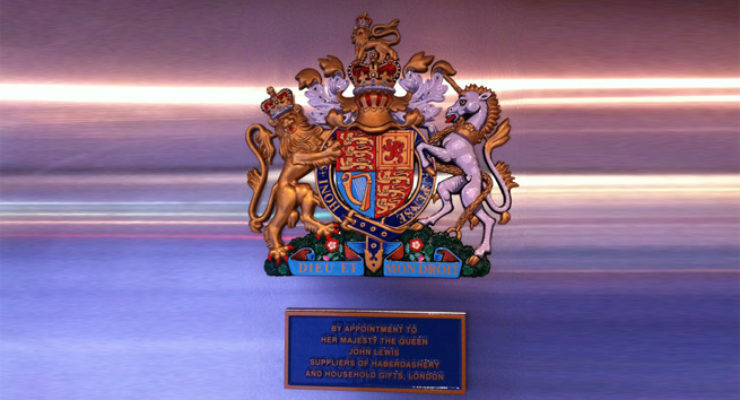 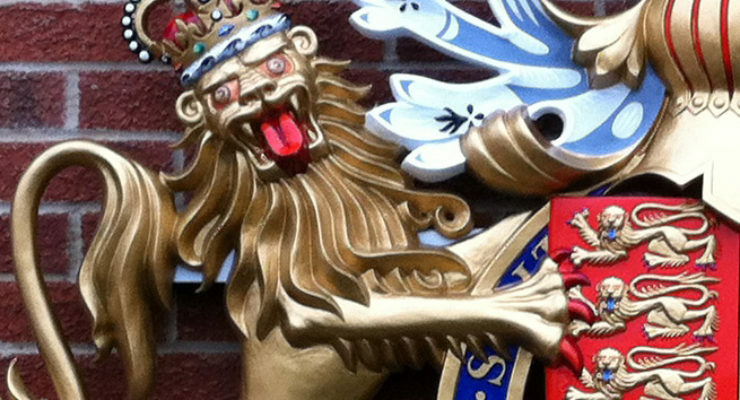 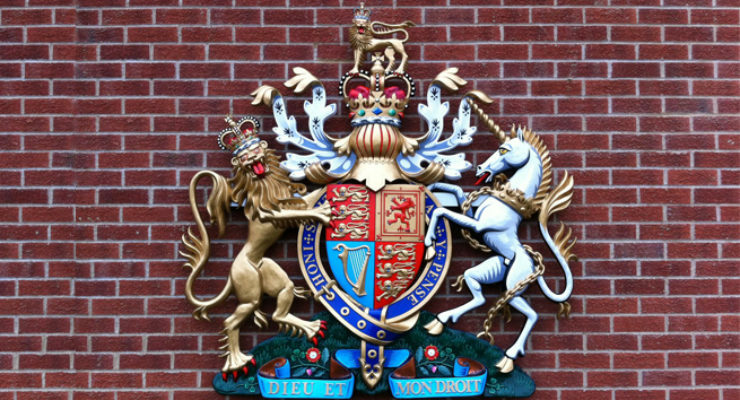 Due to the physical properties of the different materials available, the Royal Warrant Coat of Arms is generally made from cast aluminium, but may also be built up from laminated GRP (glass fibre). 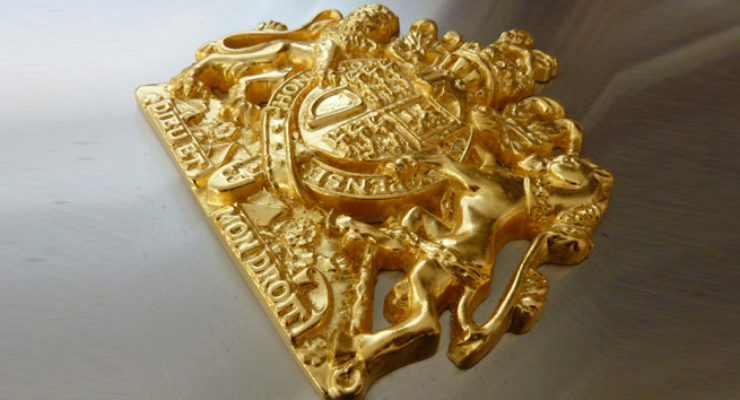 Once cast, aluminium coats of arms are painted in oven baked enamel undercoat and then hand painted by our heraldic artists. 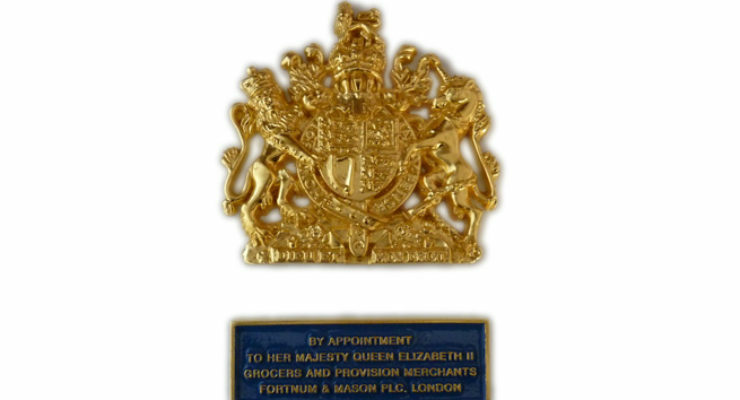 Notable projects where we had to produce Royal Warrant Coats of Arms for Warrant holders of Her Majesty The Queen include Fortnum and Mason, John Lewis, Waitrose and Jaguar Landrover. 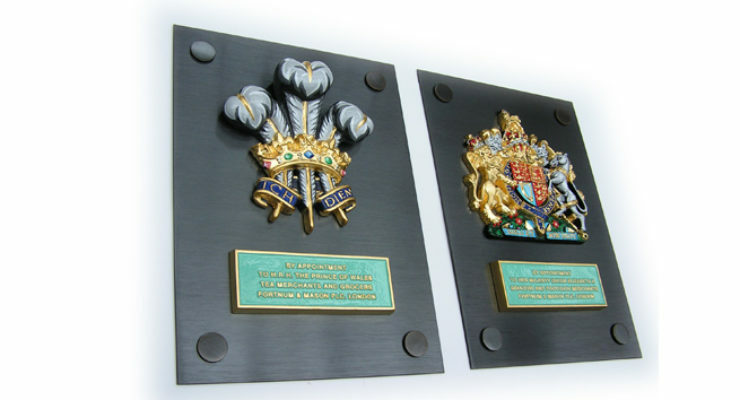 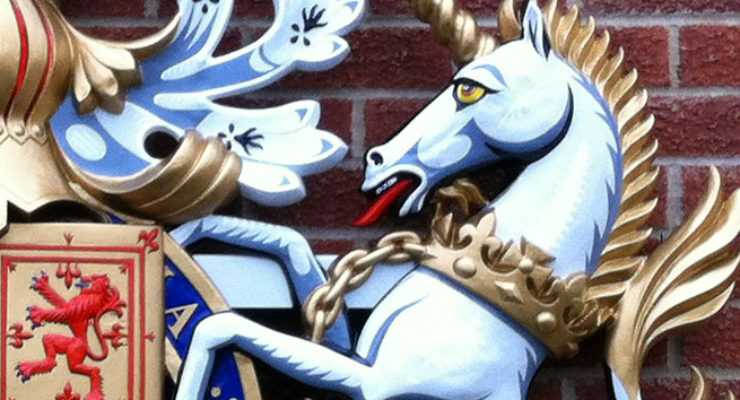 Read about our mounted bronze plaque Royal Warrant Coats of Arms. 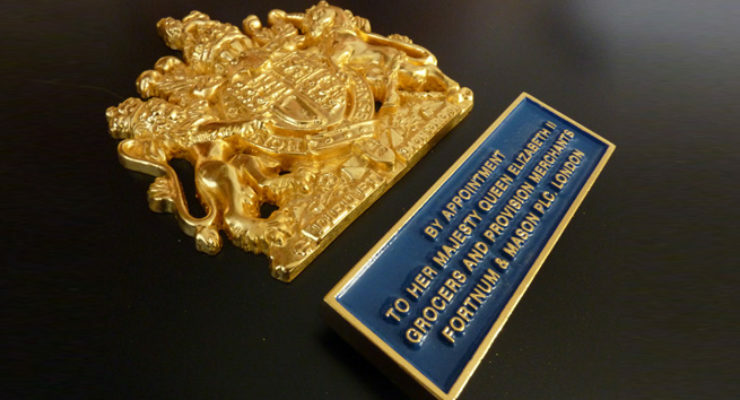 This case study discusses what we did for the well-known brands' of John Lewis and Fortnum & Mason.